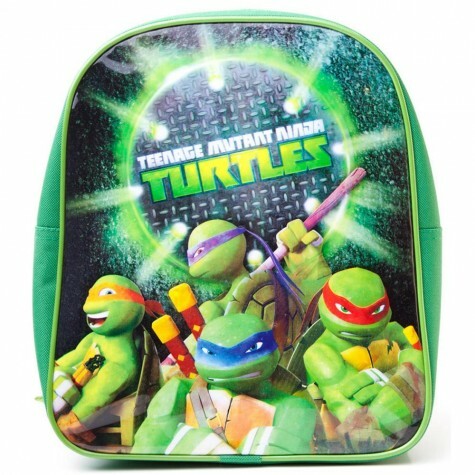 Teenage Mutant Ninja Turtles (Tmnt) Mini Backpack With The Pose Design Green. This green mini backpack is perfect for when you only wish to take a small number of items with you. This bag is ideal for small kids taking homework and lunch to school. Let them amaze their friends with the stunning "Pose" graphic motif on the front of the backpack from the Teenage Mutant Ninja Turtles.